Why Sell Your Surplus Equipment? Surplus equipment takes up space, resources, and continues to lose value the longer it sits idle. Wanting to generate immediate income? Trying to minimize space requirements? Our team of experienced purchasing, warehousing, and sales professionals can manage the removal, storage, and marketing of your idle equipment. So what are you waiting for? Let our knowledgeable staff help you sell your surplus equipment today! Why Sell to SIGMA Equipment? Our staff knows the ins and outs of the used equipment marketplace. We have teams trained and dedicated to buying and selling equipment every day. Generate interest in your available assets by landing them in the inboxes of more than 40,000 industry purchasing professionals. Our website listings are carefully optimized for the keywords customers search for, placing your equipment in the top results of all major search engines. 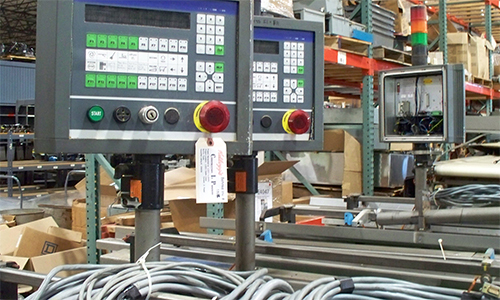 We purchase equipment daily, from single items to complete manufacturing lines. Our payments are always prompt, safe, and reliable. We have the equipment and crews to remove your equipment safely and quickly, with the least amount of disruption to your operations. Our team will provide one-on-one service to guide you through the selling process and handle all aspects of the sale, from listing to payment. SIGMA responded quickly, came in to assess our equipment, and documented what we had by gathering photos and manufacturer information. SIGMA then sent us a proposal and after some negotiations we came to a timely agreement and began arranging pick up of the sold items. Our experience with them has been nothing but positive as they have done exactly what they said, when they said they would. Display Pack Inc. continues to do business with them and would recommend them to anyone. SIGMA delivered on all of their promises following our acceptance of their proposal. They were able to remove the entire lot and clean the area in a time frame which exceeded our expectations. The customer service relationship was excellent, each SIGMA employee that I had the satisfaction to work with was very friendly and most helpful. We will definitely repeat business with Sigma Packaging in the future if circumstances permit. The entire process was hassle free, and I would highly recommend working with SIGMA. If an organization is looking to downsize, upgrade, outsource, or get rid of excess machinery for any reason, SIGMA should be their first call.